Lawn care in Ladue MO is one of the best things about living in the area. With a bit of help from the experts, you, too, can achieve your dream of having a luxuriant, thriving and healthy landscape you can be proud. Want to be the object of your neighbors’ envy? 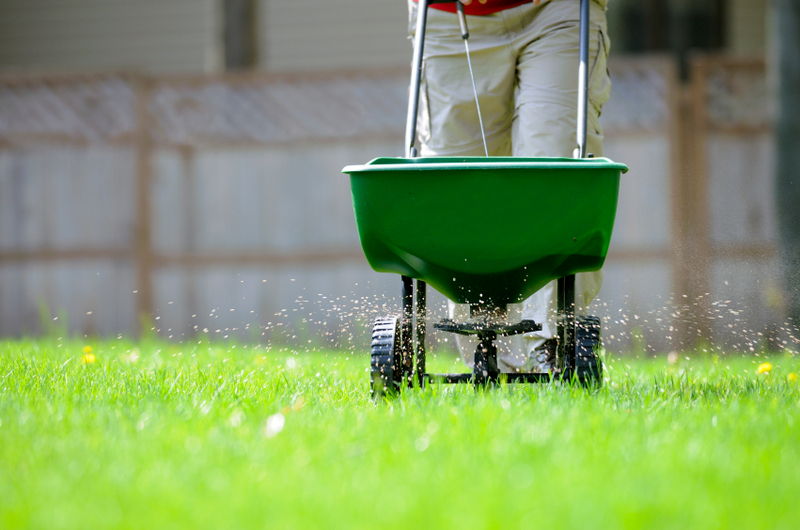 Then know that proper lawn care and lawn maintenance go beyond mowing and shrub trimming. Many homeowners have found this out the hard. Don’t go remodeling your lawn or garden yourself. If you want to give it just what it needs, in terms of weed control, fertilization, aeration or tree & shrub services, call on Lawn Masters. Our company has been providing lawn care, lawn design and maintenance services, along with other lawn maintenance services in the area for many years now. We know how hard it can be for a homeowner to see their lawn losing its health and beauty for reasons they doesn’t understand. This is why we recommend calling us, when you need good landscape design, landscape construction, lawn care and lawn maintenance. Picture-perfect Lawn Care. Ladue Is the Best Place to Get Exceptional Services! We only work with certified professionals who regularly receive professional training. We make sure they’re constantly developing their knowledge and skills to work with the latest technologies. Our business implements basic ethical principles, such as responsibility to our clients, respect for the environment, and care for the needs and wishes of every client. If you want to call us for an estimate or simply want to find out more about our services, be sure that our team members will always answer you honestly and in a friendly manner. They will only implement a lawn and landscape care program after they have assessed the situation and have had the plan approved by you. Our portfolio includes a very wide range of services, based on your needs: lawn mowing, tree service, mulching, flower planting and flower bed maintenance, weed control and fertilization, seasonal leaf clean-up, extended landscape remodeling, aeration, and even irrigation services, including installations and repairs. You may have the time to mow your own lawn, but how would you manage the consequences of a storm hitting your property? Our offer also includes tree service to take care of deep root fertilization, insect protection and disease control on your property. One of our biggest reasons for pride is our constantly growing pool of satisfied customers. No matter how complex or simple your lawn care projects are, we will always able to deliver the best results for the most affordable prices. That’s how we built our reputation over the years. We value each property as if it were our own. What’s more, we always have our clients’ greater good and the environment in mind. Our relationships with clients are built on mutual respect and we strive to offer them all the comfort they need. This is why we have also implemented a simple online payment system and phone counseling services. Count on us for honest and straightforward quotes and a team of highly-trained professionals. You, too, can benefit from our experience and dedication – all you need to do is give us a call and let us do our best for you!